This is actually one of my first paintings. 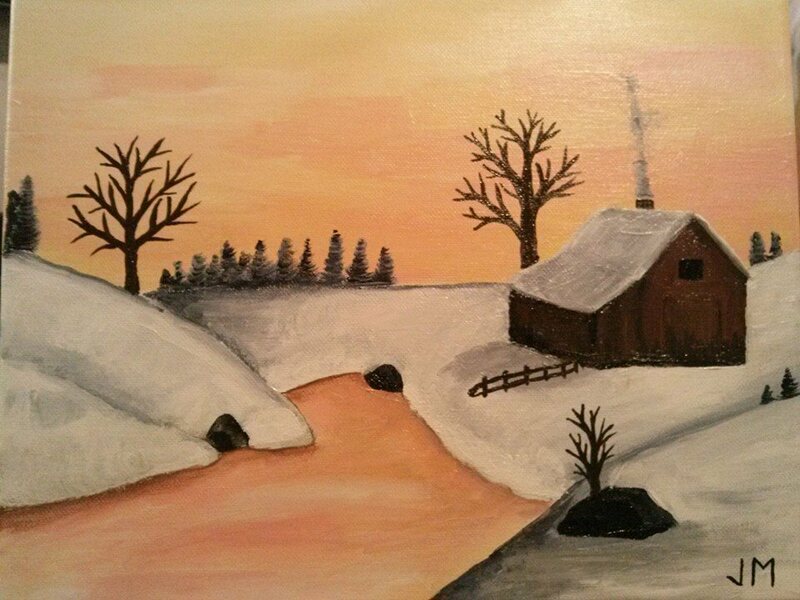 I painted this back on November 17, 2013. My branches to the trees – even the smaller ones – are all too similar, too regular, and too simple. They lack the random nature of natural trees. This is something I certainly need to work on. The background pine trees however I really liked. They were made using a version of dry brushing with almost no wetness to the brush and gentle but quick back and forth motion that starts at the bottom and works upwards, from a larger width down to a small one. I will definitely use this technique again!